Earlier this year we brought together both MHEDA-NET members & MHEDA Members to maximize their professional networking opportunities. MHEDA’s premier event gathers hundreds of industry professionals for four days of thought-provoking educational sessions, daily keynote presentations, the latest products on display, and endless networking possibilities, not to mention many fun and exciting local area tours. 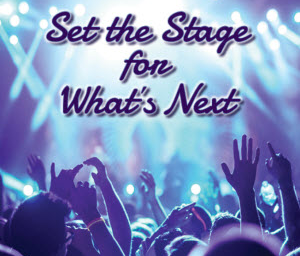 The 2019 event, May 4-8 in Phoenix, AZ will “Set the Stage for What’s Next”. Register today! Each year more and more women are hired within the material handling industry. MHEDA brings women in the industry together at forums and conferences. In April, MHEDA and MHI co-sponsored the Women in the Supply Chain Industry Forum. These receptions are held in conjunction with industry trade shows and are a great opportunity to network with other industry professionals at a relaxed informal gathering. Regional Networking Summits are members coming together as a group to network with others in the material handling industry who live and work in the same area of the country. A tour of a material handling facility is included along with presentations from noted industry speakers. Mark your calendar for the next summit, August 8, 2019, at Concept Services Ltd., Medina (Cleveland), OH. MHEDA is always looking for members to host and sponsor a Regional Networking Summit at their facility. If you are interested in hosting a Regional Networking Summit, contact Rebecca Hein at rhein@mheda.org.